Travellers who take regular medication should allow time to prepare for their trip well in advance of travel. A medical check-up is recommended to discuss fitness to travel, ensure medication is optimised and sufficient supplies are available. Travellers should take medication in its original pharmacy packaging, along with a copy of their prescription and letter from the prescriber. Medication should be carried in hand luggage, with an extra supply in hold luggage. Some countries may not allow the entry of certain types of medicines, and others may have regulations requiring specific permission for a medication to be brought in. These rules can also apply to medicines available over the counter in the UK. Certain medicines are ‘controlled’ in the UK and travellers are required to obtain an export licence prior to transporting a certain quantity (usually three months or more supply) of these drugs out of or into the country. A letter from the prescriber detailing the medicines is advised for travelling with smaller supplies. Travellers should be aware that the legal status of their medication may be different outside the UK. Rules for the different countries can be checked with the foreign embassy in the UK but can be difficult to obtain for some countries; other useful resources are provided below. Falsified (fake) drugs are more common in certain regions and can be a significant health risk. Travellers who need to carry medication should be aware that their medication’s legal status in other countries may be different from in the UK. Legal requirements for carrying personal medicines across international borders are highly variable and often not consistently enforced. This applies to over-the-counter medication as well as prescription drugs. Some countries may not allow the entry of certain types of medicines, and others may have blanket regulations requiring specific permission. The regulations regarding whether a traveller needs to carry a doctor’s letter describing the medication also varies widely. Travellers who take regular medication should allow time to prepare for their trip well in advance of travel. A medical check-up is recommended to discuss fitness to travel, and ensure medication is optimised and sufficient supplies are available (including cover for possible travel delays). Travellers should check the regulations on importing or transporting medicines to their chosen destination by contacting the relevant embassy or high commission, or by checking the Foreign and Commonwealth Office (FCO) country advice. Information can be difficult to obtain for some countries, and a resource from ISTM Pharmacist Professional Group may be helpful for travellers as a general guide, rather than a definitive statement of country requirements. Travellers who are taking certain ‘controlled drugs’ may be required to obtain an export licence prior to transporting set quantities (usually three months’ or more supply) into or out of the UK. The application should be made at least 10 days prior to travel. Some examples of controlled drugs include: Diamorphine, Diazepam, Codeine, Fentanyl, Methadone, Morphine, Pethidine, Ritalin and Temazepam. Further information on the drugs which will require an export license and application forms can be found on the Gov.uk website. Those carrying controlled drugs and other prescription drugs on shorter trips are advised by the Home Office to obtain and carry a letter from the GP or prescriber detailing the medicines. Wherever possible, travellers should avoid the risk of purchasing falsified medication, by obtaining all the medication they will need prior to travel. Take out an appropriate level of travel health insurance including repatriation and specific cover for any pre-existing illnesses. Ensure that the amount of medication packed is adequate to last the whole trip; check the medication is permitted in the countries to be visited. 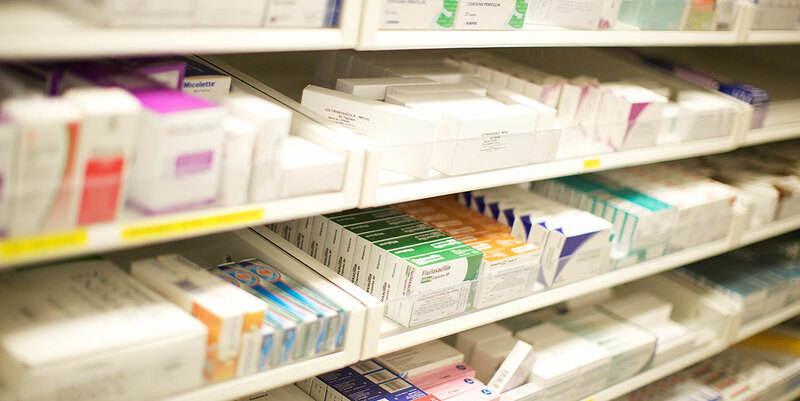 Carry medicines (including those bought over the counter) in their correctly labelled container, as issued by the pharmacist, in their hand luggage. Airline regulations should be checked, particularly for liquids as restrictions apply to the quantity that can be carried in hand luggage. Contact their airline in advance to make appropriate arrangements if needing to fly with oxygen, insulin or other injectable medicines. Consider packing a spare supply of medication in the hold luggage in case of loss of hand luggage. Check storage requirements for medication in advance. Arrangements for control of temperature during transit with certain medications may be needed. Obtain a copy of all prescriptions to carry during travel. Obtain a letter from the prescriber detailing the medicines with the generic names for the medications; this can be helpful during border control checks, and in case medicines have to be replaced or medical help is required. Obtain a note from the prescriber on letterhead stationary for controlled substances and injection medications (see also text in main paragraph above). Be aware that some medications/products may not be allowed in to some countries. Check the status of the medication or product with the Consulate or Embassy of the country to be visited before travel. Travellers should carry copies of the original prescription for their regular medications together with a covering letter from their doctor. If supplies are needed whilst abroad, a pharmacy or health care provider should be consulted for advice. Travellers should be aware that whilst the name and appearance of medication prescribed in the UK may look the same or similar in other countries, the amount and type of active ingredients may differ. Medications for recognised health conditions may come under intense scrutiny by foreign officials at border controls. This can result in delays, disruption or medicines being confiscated if the correct paperwork and permissions have not been arranged (e.g. where there are specific regulations and/requirements relating to taking a medication abroad such as for medications containing controlled drugs). On rare occasions, travellers who have been found to have drugs that are illegal at the destination or transit country have been imprisoned . The International Association for Medical Assistance to Travellers and the International Society of Travel Medicine global clinic directory can provide contact details of medical practitioners overseas. Worldwide estimates of falsified drugs range from one percent of sales in industrialised countries to over 30 percent in parts of Africa, Asia and Latin America . Travellers should be aware of the risks of falsified medical products. This term is used to describe deliberate misrepresentation of a drug or medical product (and encompasses the terms ‘substandard’ or ‘counterfeit’) . Falsified medications may be produced by unauthorised manufacturers and presented as authorised products. Very often, both packaging and medication appear virtually identical to the authentic medication. Falsified medications may contain inactive substances or toxic ingredients, resulting in treatment failure and/or serious harm. According to the World Health Organization, falsified medicines are rarely effective . Use of these medicines can prolong treatment time, which may worsen the condition being treated. Falsified malaria prevention drugs are recognised as a contributing factor in malaria treatment failures and drug resistance [4,5]. Treatment with falsified antibiotics can also lead to the emergence of drug resistance [6-7], and in extreme cases, may even cause serious harm or death . Travellers who have required additional supplies of medication or started new medication, prescribed whilst abroad, are advised to see their regular doctor on return. Travellers who are unwell after travelling should seek advice from their GP or pharmacist. Newton PN, Green MD, Fernández FM et al. Counterfeit and anti-infective drugs. Lancet Inf Dis. 6, 602-13, 2006.